There are moments in travel that have a particular impact, that don't just momentarily impress or entertain us, but which lodge in our memories. Sometimes they change the way we see the world. They might urge us onwards with renewed energy, or teach us something about ourselves we'd never considered before. If you're passing through a vale of jaded travel, then your first sight of the Taj Mahal or Egypt's mighty temples has the power to jolt you back to the mountaintops of travel enthusiasm. A swim with whale sharks or encounter with wild orang-utans might cause you to take a new eco-friendly attitude. Or perhaps you just discover a new passion for chillies in Mexico or Sichuan, and your bland home cooking is never the same again. Whatever the result, we all travel hoping for moments of enlightenment, for a first-time surge of adrenaline, for the rediscovery of childhood wonder in seemingly banal things. Here's what some of our travel writer have to say about the pleasures first encounters bring. My first big flight out of Australia was to Paris, in the 1980s. Paris! I was beside myself with excitement, about both the flight and the destination. At the airport, the check-in attendant was very concerned, because my suitcase was virtually empty. "But I'm going to Paris!" I said. "Why would I take clothing to Paris, when I can buy French clothing?" I didn't even take toothpaste or shampoo, because I wanted to buy French toothpaste and shampoo. I had no spare undies, because I wanted to buy French undies, all satin and lace. I had the one dress I wore on the plane, and I wouldn't let my husband pack a jacket – because, yes, I wanted him to buy a French jacket. On the flight, I wriggled in my seat and drank champagne, too excited to eat anything. I made constant notes in my new journal – the name of the plane was Sriwanna; the pilot in command, P. Kadem, the air purser, B. Chairoj and the distance travelled 7485 kilometres. The champagne was Heidsieck '75, the wines a 1980 Macon and Lindemans 1981 H.R. Riesling. There are no notes about the food. The (one and only) film was Clint Eastwood in Firefox. At some point, the chief steward dropped by and encouraged me to eat something. "But I'm going to Paris!" I said. "Why would I want to eat aeroplane food, when tomorrow I will be eating French food?" We landed in Paris – me with a blinding headache and a duty-free bottle of Cointreau – and spent the evening in our romantically cheap room at the Hotel des Arenes, picnicking on three different types of goats cheese, a bunch of grapes, and warm Cointreau. The next day, due at La Tour d'Argent for lunch (having reserved by writing a letter to them requesting a table on that date, good god) it sank in that I had nothing to wear but one very creased dress. Excellent. That meant I had to buy something French. 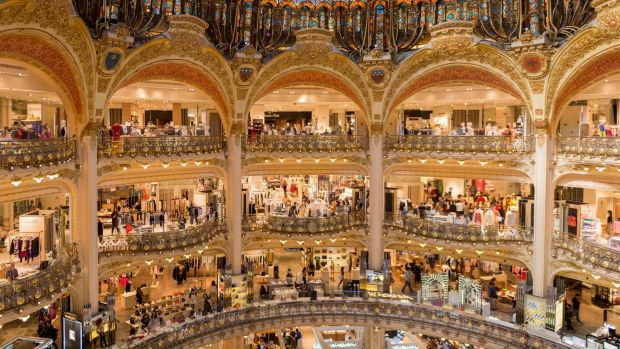 Straight to the Galeries Lafayette department store, to buy undies, combs, shampoo, toothpaste, a jacket and a very sweet, very Parisian silk frock with tiny black dots on white. Straight to American Express, to cash a few more traveller's cheques. (Heavens, this really was a long time ago). We made it to lunch just in time, feeling like true Parisians, and ordered the famous pressed duck, so rich it was like eating liver. 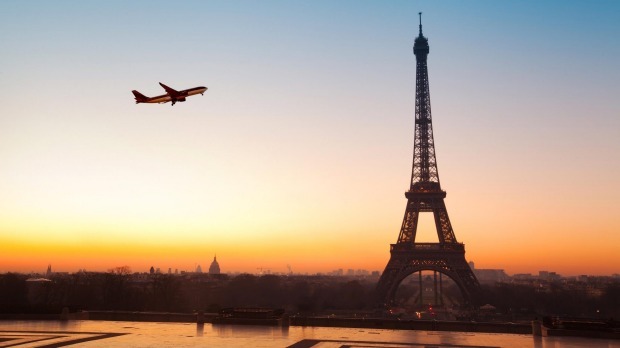 I have been to Paris many times since then, but I will never forget the first time, nor the flight there. And to this day, I never take enough clothing. The silence takes a while to settle. People go on with their conversations for a few seconds, glasses clink, plates clatter. Slowly though, a ripple of attention sweeps through the room, the noise dies down, and we're left with the soft vibration of finger-picked guitar strings and one deep, sonorous voice. The venue is a bar in Granada, the name of which I'll never remember, though that's really the point – this could have happened anywhere in that fine Andalusian city, and in fact was probably taking place that night in several others. It was a Friday: the bar was packed with locals drinking beer and wine, picking at the plates of olives and cured ham and manchego cheese that are served free in this part of the world. I'd spotted the guy with the guitar case earlier and thought no more of it. But then he was quietly removing it from its case and perching it on his thigh, and then, despite the noise, beginning to play, his fingers dancing across the fret board, picking quickly at nylon strings. Pretty soon the bar had gone dead quiet, except for one guy in another corner of the room, who began adding his voice to guitar's melancholic strains. Flamenco. Deeply moving and stunningly beautiful. A song that haunted the air, heavy with emotion. 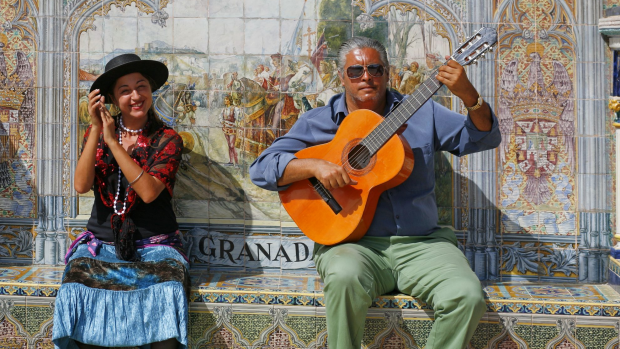 The music of Andalusia. The stories and the history of these very people. It was the first time I'd ever heard this music in its true home, played and sung spontaneously for no other reason than the joy of it. Up until then, flamenco for me had been a tourist attraction, a show. It had been a performance people attended in nearby Seville, a slick production designed for the outsiders' gaze. But this; this was real. It was heartfelt. It was beautiful. It was an experience that not only cemented a love of flamenco in me, but fired a desire to forever avoid the curated versions of culture that exist throughout the world – the songs and dances and other performances that are put on for tourists, and which to me lack any sense of authenticity or joy. I don't want to see shows when I travel; I want to see soul. And to find that, you can't just buy a ticket. You have to work for it. You have to seek it out. You also have to be lucky sometimes, as I was in Granada. But when everything falls into place like that, when you're standing there in a bar and a guy starts playing his guitar and another just breaks into song and there's so much passion and joy in a room full of strangers – that, right there, is travel. Twenty years ago, I was in a taxi heading towards Delhi from the airport, and my first encounter with India was with a black foggy night and the vague outlines of dusty trees and shabby concrete. My hotel was a classic Third World monstrosity of old carpets, damp sheets and paint peeling like dandruff off the walls. Plants wilted in the marble-and-chrome lobby, and the swimming pool was a sad empty shell. 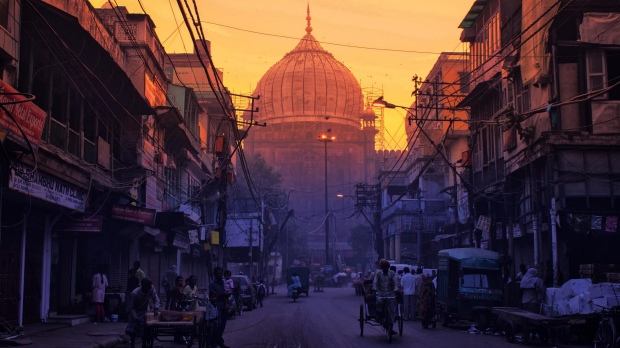 India seemed like a drab and dreary place that first evening, but the next day I discovered how wrong I was. Nobody forgets their first encounter with India. It either breaks you or leaves you enthralled. India is the reek of incense sticks and cow dung and coal fires, of pollution and temple marigolds and bubbling vats of dahl. It is incessant noise and movement, and most of all colour: the flash of gold bangles, the kaleidoscope of saris, the blue-faced gods and shuffling sadhus streaked in white and yellow. It is beggars and bejewelled women, palaces and shantytowns, fat tradesmen and skinny fakirs in loincloths. Since that first time, India has become for me the destination against which all others are measured. Nowhere else has yet matched its mindboggling squalor and flamboyance. I hate it and love it. It will never leave me indifferent, perhaps the mark of the ultimate travel destination. India remains an itch I just have to keep scratching. It's a place I'll never understand. How do such splendour and shabbiness coexist, how does such anarchy function, how does such an eruption of religions and races muddle along? What's with the holy cows, Dickensian bureaucracy and street astrologers? Twenty years on, I think myself well-travelled and well-versed in the ways of others, but every time I return to India I'm secretly pleased to be reminded that I know nothing at all. Travel at its most noble is a quest to understand the world, but India is an outrageous, flamboyant, fascinating and infuriating reminder that we never will. The first time I ate at Harry's Bar in Venice's Calle Vallaresso was in October 1985. I had made the booking for a weekday lunch several months in advance and confirmed it 10 times, just to be sure. This was, after all, one of the most famous restaurants in the world. 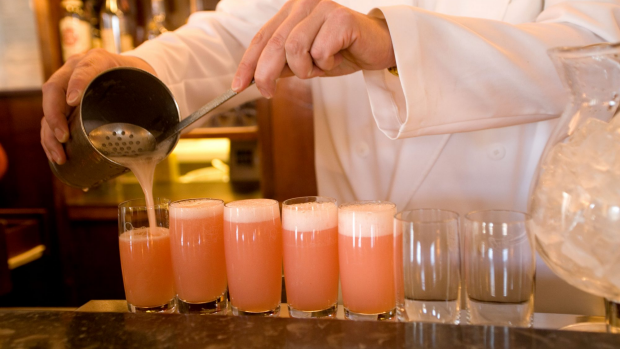 It was the birthplace of the Bellini cocktail and, call me shallow, but that exquisite peach juice and prosecco creation was the real reason I was here. It was also at Harry's, in 1950, that Giuseppe Cipriani invented the now-famous, finely sliced raw beef carpaccio for the Contessa Amalia Nani Mocenigo, who had been forbidden by her doctor to eat cooked meat. Since it opened in 1931, with loan money repaid to Cipriani by a young American named Harry Pickering, Harry's Bar has drawn a dream list of regulars that includes Aristotle Onassis, Humphrey Bogart, Maria Callas, Ernest Hemingway, Orson Welles, Truman Capote, Charles Chaplin, and Woody Allen. And now me. Being the consummate restaurateur, Giuseppe Cipriani had turned what was a tiny canal-side rope warehouse into an elegant art deco bar that could have graced a 1930s Cunard ocean liner, complete with a gleaming wooden bar and maritime fittings. Acutely aware of the lack of space, he designed small, three-legged tables (that wouldn't wobble on the warehouse floor) and set them with delicate, under-sized cutlery, to give an illusion of size. The result was a highly curated cosiness in which people were forced to engage with each other. "Perhaps everyone is slightly shy," said Cipriani. "Even the ones who seem least so." As I settled into my table on the first floor with its view of the Grand Canal, I asked for my first ever, proper, ridgy-didge Harry's Bar Bellini. The waiter smiled, and said "No". In those days, Harry's used only fresh white peach juice, squeezed by hand, and I had made the mistake of coming in autumn, not summer. I was aghast. All this way for a Belllini, and no Bellini? The waiter leant forward and quietly recommended an autumnal Tiziano instead, made with the juice of fresh red "uva fragole", or strawberry grapes. One sip and I immediately felt like an insider, a Venetian, instead of an Australian tourist. And that is the art of Harry's Bar: to make you feel that all is well with the world. I learnt a lot about the art of hospitality in the next four hours, as white-jacketed waiters slid around me like eels. The expensively suited Arrigo Cipriani, son of Giuseppe, seemed that day to be singularly devoted to my personal happiness, without the slightest fuss in the world. A Venetian seafood salad almost squirmed with freshness; seppioline in tecia (cuttlefish in its own ink) was pitch-black sweetness; shaved calves liver melted to nothingness on the tongue. We drank 1973 Moet et Chandon Rosé, ate slabs of Harry's classic meringue cake, and paid a vastly expensive bill for what I still consider to be one of the best value meals of my life. I walked outside, stopped, then stepped back in and asked if I could possibly reserve a table for dinner that evening. Yes, of course, sir. Already, I was a regular. I am a solo traveller. I like to travel alone, immersing myself in a new destination, soaking up the sights, the sounds, the smells. I don't want to be distracted by someone asking me if I'm sure we're going in the right direction, or when we're stopping for lunch. Travel companions, in my view, cramp your style. Which is why it came as a surprise to everyone – including myself – when I invited my mum to meet me in New York. It felt like the right thing to do. My mother is very much a Manhattan kind of girl, yet somehow she had never made it to the Big Apple. I stayed on after a work trip and coaxed mum to fly over so I could introduce her to the city. I just knew they would hit it off. Of course, this wasn't the first time I had travelled with my mother. Our family did its fair share of holidays when I was young, including months of camping in Europe that turned me off tents for life. But this was to be our first proper trip together as adults. As it turned out, although I covered very little new territory, I learned a lot. I had been to New York countless times before; this was the first time, however, that it wasn't all about me. Putting together an itinerary wasn't difficult. I know New York well. I know my mother even better. Everything that made it on to our program was something that I knew she would love. 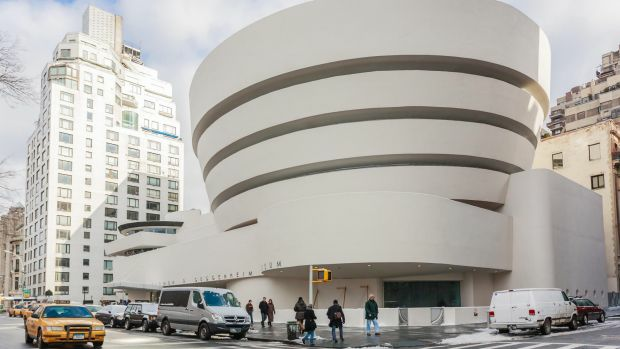 The Guggenheim Museum. Barneys and Bloomingdales. Cocktails at the Campbell Apartment and jazz at Bemelmans. Scenic strolls past elegant brownstones, along the High Line and through Central Park. My mother adored it, as I knew she would. What surprised me was how much I enjoyed it. While I didn't make any new discoveries, I got to see some of my favourite places through fresh eyes. I savoured the delight on mum's face as she discovered a stunning piece of architecture, or a particularly chic boutique, or Locanda Verde's duck meatballs with cherry mostarda. In short, I discovered why travelling together can be fun, and how sharing a moment can make it more memorable. It doesn't have to be a bucket-list experience; it might be something as simple as a late-morning cup of coffee in a too-pretty-to-pass-by cafe. I saw less of the city than I would have on my own, but I have warmer memories – and I have someone to reminisce with. I am still mostly a solo traveller. These days, however, I occasionally treat myself to the joy of sharing special places with the people who are special to me. Mount Kilimanjaro's snow-dusted tip has pierced the clouds and is floating disembodied on a cushion of white. 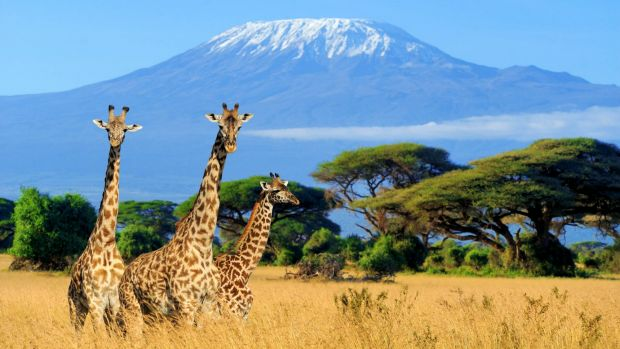 The captain has alerted us to its presence – "Mount Kili coming into view on the right, folks" – and the jumbo-load of passengers has lurched starboard to catch sight of the fabled landmark: the world's tallest free-standing mountain and Africa's highest peak. I snap a single photo on my fixed-lens analogue camera – this is 1992, after all – and it manifests later, in the dark room, as a dull speck on an overexposed horizon But the image burned on to my memory is altogether more vivid. This is the geographical evidence that finally confirms for me the existence of a world beyond the cloistered society in which I have grown up. It embodies everything that matters to my restless soul: boundlessness and curiosity, and an unlimited supply of new horizons. Moreover, it connects my own deep longing for adventure with that of my father, an inveterate traveller who led by great example: when he was in his early 20s, as I am in 1992, he set off by road from Johannesburg to Uganda with his best friend, aiming, along the way, to "climb Mount Kilimanjaro in our miners' boots". My father, a man of six-foot-four, drove his squat Mini Minor along dirt roads, through wild reserves and over river crossings thick with crocodiles; he told the story, when we were children, of how he and his friend had startled officials at a remote border crossing which was – theoretically, at least – navigable only by four-wheel drive. "How did you get here?" the gun-toting soldier had asked, eyeing their vehicle incredulously. The pair had reached Kilimanjaro, and had indeed reached its summit in their miners' boots. Now here I am, gazing out of an airplane window and imagining my father standing triumphant on that hazy peak. It's appropriate that I should make my first sighting of this mountaintop now, for I'm on an adventure of my own, one fuelled in part by all those stories I heard while growing up. Though I've travelled in southern Africa, this is my first real "overseas" trip: apartheid is being dismantled in my homeland of South Africa, and Kenya has re-opened its borders to South Africans after a decades-long boycott. Our plane is loaded with business people on their way to re-establish trade ties with this important economic partner, and journalists like myself reporting on the historic reunification. When Kilimanjaro's peak manifests like some talismanic aura above the cloud line, it stirs in all of us a long-lost connection to the outside world – and the promise of a new beginning. "Jambo!" comes the cry as we touch down in Nairobi, to raucous applause. We're the first of our countrymen to step foot in Kenya in 30 years; and this is my very first stop on a lifelong world tour. At age 13, while in Vanuatu, I consumed an entire coconut crab – freshly caught and cooked, drenched in garlic sauce and served under a palm frond roof in a sea breeze. The experience rocked my world to such an extent that nothing ever quite settled back into place. My personal food journey, up until that point, had been limited to a few suburban Sydney restaurants conservatively catering, in the '80s, to unadventurous palates in order to stay in business. At home my parents were still developing their kitchen skills and seeking inspiration from the bland land of the Enchanted Broccoli Forest cookbook. When my father took a short-term teaching assignment in Vanuatu's capital of Port Vila, on Efate Island, and the family joined him for a week, it became a trip of so many firsts for me. My first time overseas, first tropical holiday, first real exposure to Melanesian culture, first time snorkelling, first fresh papaya juice, first earth tremor, first Pacific Island market. And the first seafood I'd ever eaten that wasn't fish. The evening is still with me. A fresh sweet wind moved through the dining area of what was then a low key eco-resort on the tiny island of Erakor. My parents, splurging on the last night, permitted us to order a coconut crab each – an extravagance at four or five times the price of anything else on the menu. The anticipation mounted as staff set us up with bibs, shell-crackers, bowls of lemony water on stands, more papaya juice. I lost myself in that crab – the hands-on breaking of the shell, the slurping of soft warm meat, the unapologetic saltiness and oiliness and garlicky-ness of that sauce. In my memory the luscious experience shook me awake. It hauled me to my feet, raced me to the edge of the broccoli plantation and gestured dramatically towards all that lay beyond the pages of cookbooks handwritten by misguided hippies bent on coercing well-meaning parents into depriving their children of the fatty, juicy, overwhelming flavours of truly living. For years I've been so grateful to that crab, crediting it (and it alone) to opening me to the riches and wonders travel can hold. But now, on reflection, I realise we as humans do like to pinpoint a wake-up moment and claim it changed everything – perhaps because that's easy and romantic and makes a tidy story. In fact, what inspired and shaped me as an insatiable independent traveller is far more complex than one dead tasty crustacean. For starters, I was taken to Vanuatu and put up in locally run accommodation, travelled on local buses and boats and was encouraged to try all kinds of new food, including crab. We socialised with Dad's Ni-Vanuatu colleagues, who'd already befriended him, and early in the trip my mother bought a Bislama book and tried out phrases in Vanuatu's creole language with locals. But at the time all my gratitude was concentrated solely on the enormous-clawed creature of the sea I slowly devoured that warm night on Erakor. It was my very first trip overseas and it sounded impossibly glamorous to a kid growing up in the UK: a cruise around the Med, the kind of holiday only rich people took. But it was 1973, the Cold War had set a deep chill over the Atlantic, and the Soviet Union, desperate to replenish its stores of hard currency, had decided to venture into the cruise market with two of its East German-built ships. With tickets offered at bargain-basement prices, rain-sodden working-class Brits like my family snapped up tickets for the second voyage of the MS Mikhail Lermontov to Spain's Canary Islands and Casablanca. The experience coloured my attitude to cruising for the next 40 years. And not, sadly, in a good way. The Soviet crew were under strict instructions not to speak to, or even look at, the passengers, and any approach was met with a glare cold enough to freeze the warmest of intentions. The cabins were dark and cramped, and the toilets down the corridors were pretty much the same. The meals comprised lashings of Borscht followed by various unappetising combinations of meat and cabbage – all impossibly foreign to our tastes – making it possibly the first cruise in history on which all passengers actually lost weight. As for entertainment, that was undertaken by the same crew, with a notable lack of both gusto and talent. But that didn't matter so much; most of us were so seasick much of the time, we didn't stay up late anyway. The cruise's lone saving grace was the copious quantities of cheap vodka poured down the adults', and many children's, throats at every opportunity. That could well have contributed too to the only real excitement on board the ship – the evening a passenger jumped overboard in an apparent suicide attempt. Happily, she was fished out by the furious crew and severely reprimanded. No one else dared misbehave after that. Besides, there was always the threat of far worse punishment. On one occasion, a Russian submarine loomed out of the deep beside us, and some members of the crew mysteriously vanished, to be replaced by fresh grim-set faces. The onboard experience did, however, mean our excursions on land were all the more joyous. Somehow it didn't matter so much that all us pasty, pale-skinned Brits got hideously sunburned, that chips were nowhere to be found and even that my mother's best handbag was snatched by a passing rogue on a motorcycle in Casablanca. That view of the dark heart of cruising wasn't helped either when the ship, 13 years on, ran aground in New Zealand and sank with the loss of one crew member's life. In the past few years, however, I've been persuaded to try cruising again, and have been amazed by how far it's come, its levels of comfort and entertainment, and some truly glorious itineraries. Finally, I've also managed to understand why so many Australians are hooked, and even, these days, on (totally remodelled) Russian cruises.